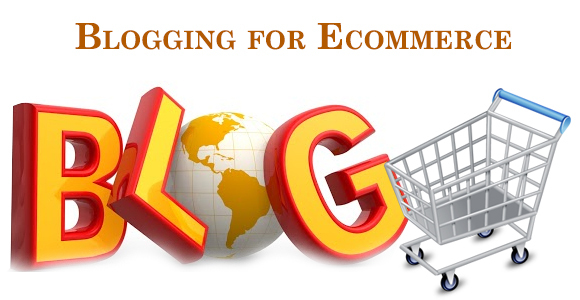 Blogging is a popular activity for many different businesses and organizations. However, not all companies are good at posting interesting and engaging blog content. Before you decide to start a blog for your e-commerce company, make sure to have a plan in place and understand the reason you want to have a blog. Just because you are an e-commerce company whose purpose is to sell online does not mean that your business blog should be all about selling, or a sales pitch. A successful e-commerce blog is not strictly about selling your product or service, so you need to have a plan in place to provide content, communication, and link back to your websites. When your blog provides relevant information that your target customer is interested in reading and sharing, that aides in sales in a secondary way without being overtly sales-focused in a medium that is social at its core. Try to think about what would be of interest to your target market and current customers. Once you figure that out, you have some of your content for the company blog. When coming up with the content, always ask yourself if this will be informative for your customers. It does not have to be directly related to the things you sell either. You can feature posts about your local area, holidays, and events that might be of interest to your customers.Remember that every post does not have to appeal to every customer and you should try to have something for everyone. If you are a B2B business, include informational and educational posts about business and marketing trends that will influence and inform your readers. Offer customer service tips or explain how important customer service is to your company. Tie in current events and pop culture and write about how they apply to your business industry. Your company blog is a great platform to capitalize on the opportunity to cross promote with companies that offer similar products or services that are complimentary to yours. Most of the customers of your business buy similar products and services that are not in direct competition with yours. The company blog is an excellent place to share information about those types of companies with your customers. It is also possible to take advantage of this and build a reciprocal relationship with those businesses, who hopefully can offer you the same featured spotlight treatment in return. Beyond being informative to your customers and blog readers, you should tell stories. Storytelling always captures readers’ attention. In addition, stories will give make your blog more than just words, it gives it a personality. Further elaborate on your core values, company mission and use your blog to go into detail about your company beliefs. In story format you can feature employee spotlights, local stories, include a video tour of your offices, highlight what life is like at your company, tell stories about company events, milestones, and charity work. Things like this are often interesting and informative bits of information that your customers might want to know about your company life, atmosphere, and culture. As a blogger for your company, you should take on a bit of a news reporter role and tap into industry news and events to feature on your blog. Does your company or product have anything to do with pop culture events, television shows, or movies? If you can connect the dots, write about that. Is there a new product or breakthrough in your industry? Announce trade shows and other important events that are newsworthy for your industry. If you write press releases for your company, those should also be featured on your blog in addition to being syndicated. One of the goals of your company blog is likely to be to add shareable content, so some of your blog posts can focus solely on the idea of being social in nature. All of your blog posts should be shared across the company’s social media platforms. You never know what will be deemed interesting and shared by people. One of the most important elements to make your blog content more social is the inclusion of fun and eye-catching images that relate to your product or even business. Countdown lists and tips are also very good for social sharing too. Contests and giveaways are an excellent source of buzz, excitement, and engagement for your company. Everyone likes to win something and they are often very willing to share your content and give you detailed information about themselves in exchange for a chance to win a great prize. Running contests and giveaways on your blog can drive traffic to your website and also gain the attention of new potential target audience members at the same time. You can always give away your own products, but also consider using promotional items since they help with branding and customers will tend to remember you more fondly and longer when you giveaway mugs or similar types of promotional gifts. Of course your company blog is about your products and services; but one of the best ways to add content about your company’s offerings without making it too sales-focused is to include product testimonials and product reviews on your blog. This is a great way to elaborate on your products or services in a format that may not be available on your website. At the same time, the reviews and testimonials from existing customers is an excellent way to engage them and get an in-depth view of how you are doing as a business delivering quality products and excellent customer service. Author Bio: Richard Larson is author and Brand Manager for GoPromotional.com. He enjoys writing about marketing and ecommerce topics.